In today’s market, there is no substitute for dealing with a knowledgeable, hard-working real estate professional. The enthusiastic staff at Cinnamon Beach Realty is dedicated to providing useful market insight to each client we have the pleasure of working with and always offering the outstanding service our customers deserve. We love living in this unique, unspoiled region of “Old Florida”, and we think you will too! If you’re interested in selling your property, searching for that dream home by the water, or looking to take advantage of one of the many incredible real estate opportunities in the Palm Coast/St. Augustine area, Cinnamon Beach Realty is here to help. Our staff boasts a wide variety of experience, and we’ll be glad to assist you in any way we can. Together with our sister company, Cinnamon Beach Vacations, we form the area’s only family of companies that offers real estate brokerage services and vacation rentals all under one roof! 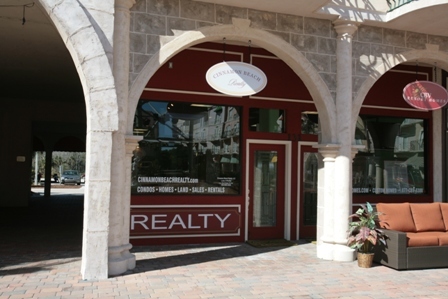 We invite you to visit us at our office in Palm Coast’s European Village, which is open 7 days and 5 evenings/week to accommodate your busy schedule! If you’d like to visit the area and have a chance to look at the available properties, email us or call 386-864-7222 and inquire about our new Palm Coast Experience Package. After all, the only way to see if this lifestyle is right for you is to sample it yourself! We look forward to helping you discover why “Life Is Better By The Beach”!